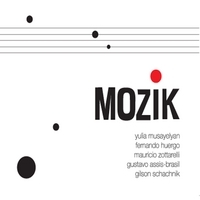 MOZIK will be going out on a small tour in July! Check out our GIGS page for all the details, links for tickets, and etc! We’ll be passing through NYC, Boston, Washington DC and Cleveland. If you can, we recommend you make early reservations and/or buy tickets in advance, to make sure you have a spot to see us. The links are listed on our GIGS page. We look forward to meeting up with some of you!